The Supreme Court of the United States directed the D.C. 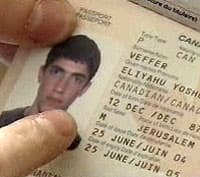 Circuit Court of Appeals to decide on the constitutionality of a case regarding whether Americans born in Jerusalem may cite Israel as their birthplace on their U.S. passport. Ari Zivotofsky and Naomi Siegman Zivotofsky, parents of their Jerusalem-born son Menachem, have fought for years to convince the U.S. State Department to allow their son to designate Israel as his place of birth on his passport, citing a 2002 law passed by Congress. Though the law was signed, it was never implemented due to State Department concerns that indicating “Israel” as the birthplace of a U.S. citizen born in Jerusalem would amount to an official U.S. statement about Jerusalem’s status.